Welcome to Columbus Dental Care with Joseph E. Golding DDS. Dr. Golding has been a dentist in Columbus, IN since 1995 taking care of families and individuals offering dental services that are ideal for patients of all ages, from children to seniors. When it comes to dentistry, we are among the most reputable names in the area. Many families choose us because of our gentle procedures, comfortable office, and affordable rates. In addition, we offer emergency dental care and do our best to provide same-day treatments to patients who need them. Dr. Joseph Golding graduated from the Indiana University School of Dentistry in 1995. For more than 20 years, he has been addressing the dental needs of patients in the community. Dr. Golding has advanced training in sleep dentistry and specializes in providing dental care for nervous patients. Regardless of his patients’ oral health concerns, Dr. Golding delivers quality dental services in a relaxed atmosphere. Take the first step toward better oral health. Reach out to us today to request a free consultation. 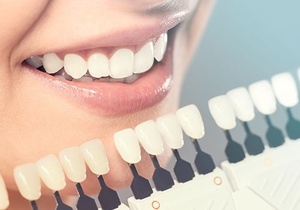 If you’re in the Columbus, IN area and looking for a dentist you can trust, then connect with us today. We look forward to hearing from you soon! At our office, exceptional dental treatments are within your reach. Whether you need general or cosmetic dentistry, we have you covered. Enjoy a more confident smile with our orthodontic solutions. 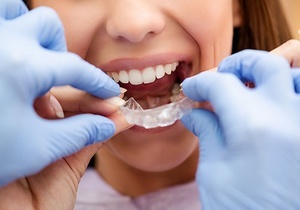 We can diagnose, prevent, and correct irregularities related to your teeth. We also offer Invisilign. We are knowledgeable in performing surgeries for a range of dental problems. In addition, we are equipped to do sedation surgery.